Qatar's tourism industry is witnessing a steady growth as a result of new hotel and resort development, according to figures from the Qatar Tourism Authority. The statistics on hotel occupancy for the third quarter of this year show a four per cent increase over 2010 figures. Four and five star hotels also saw an increase in revenues during the summer period. 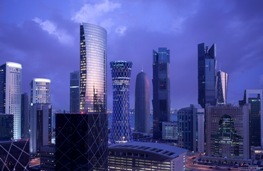 Mr. Ahmed Al Nuaimi, chairman of the Qatar Tourism Authority, said that average room occupancy rate for hotels in the third quarter for the period from July to September 2011 was 48 per cent, compared with an average room occupancy rate of 44 per cent during the same period in 2010.